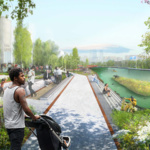 Grassy hills and meadows will line the canal's edge, while mitigation basins, bioswales, and sponge gardens will filter runoff and provide wildlife habitat. 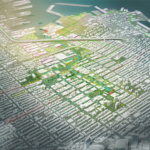 First came the factories. Then, decay and abandonment followed by an alphabet soup of toxic waste and three-eyed fish (maybe). 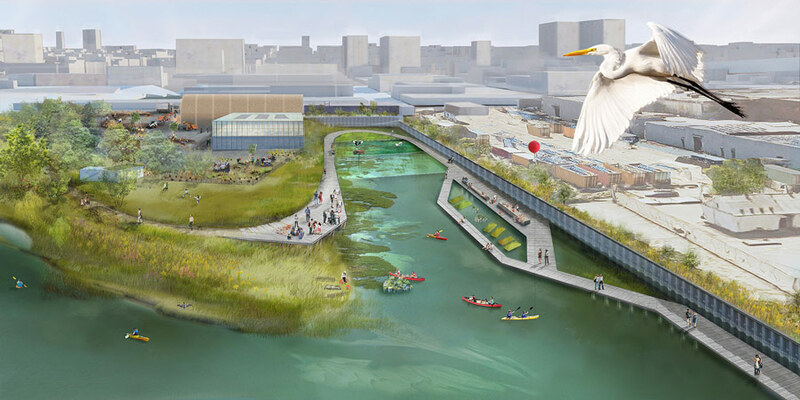 Now, one nonprofit has plans to transform the Gowanus Canal, one of the country’s sickliest waterways, into a park and ecological corridor for western Brooklyn. 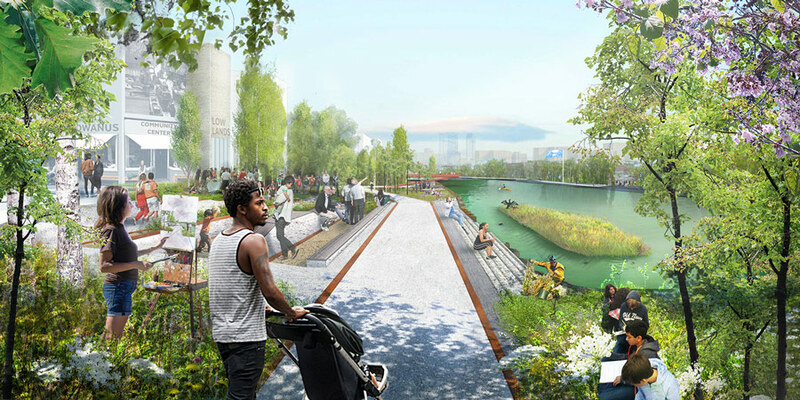 Last night the Gowanus Canal Conservancy unveiled its verdant vision for Gowanus Canal–adjacent areas of Brooklyn. 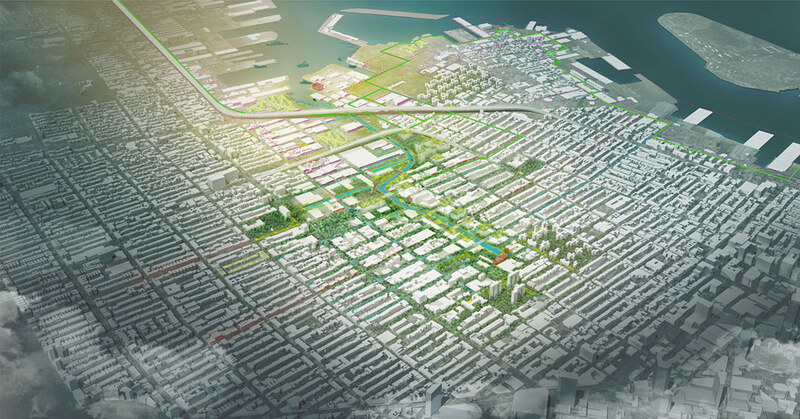 In collaboration with New York’s SCAPE Landscape Architecture, the group’s Gowanus Lowlands: A Blueprint for NYC’s Next Great Park outlines possible plans for a park along the waterway in anticipation of a master plan that will be developed over the next six to nine months. 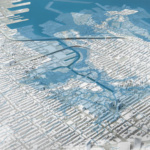 For those who don’t know, the entire 1.8-mile Gowanus Canal is a Superfund site, a heavily polluted channel that cuts through the tony neighborhoods of Park Slope, Cobble Hill, Carroll Gardens, as well as Red Hook and Gowanus. 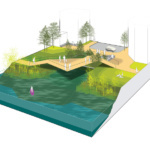 In lieu of the raw sewage and malodorous trash that currently dot the waterway, Lowlands imagines boaters and picnics, performance venues and cafes, and other amusements set between attractive walking paths and arrays of native flora that will knit neighborhoods together. 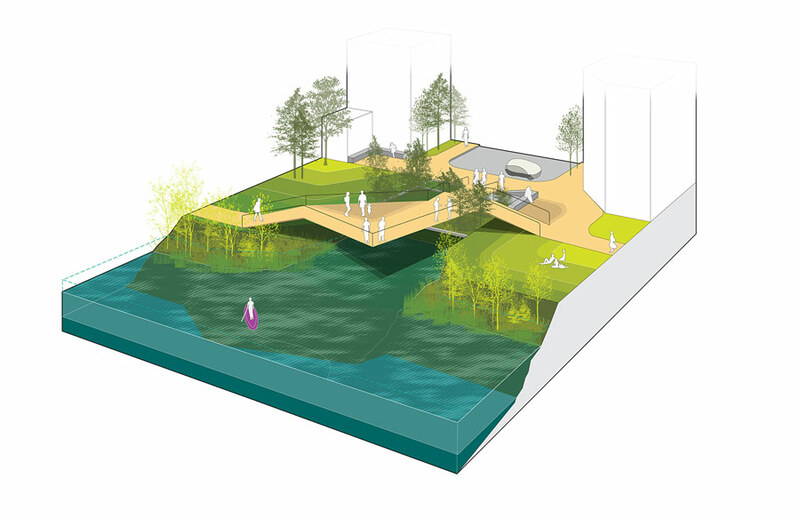 Grassy hills and meadows will line the edge of the canal, while mitigation basins, bioswales, and sponge gardens will filter runoff and provide habitat for local wildlife. 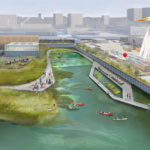 The plan was developed with neighbors’ input over the past two years, and this year the Conservancy hired SCAPE to develop the Lowlands idea. 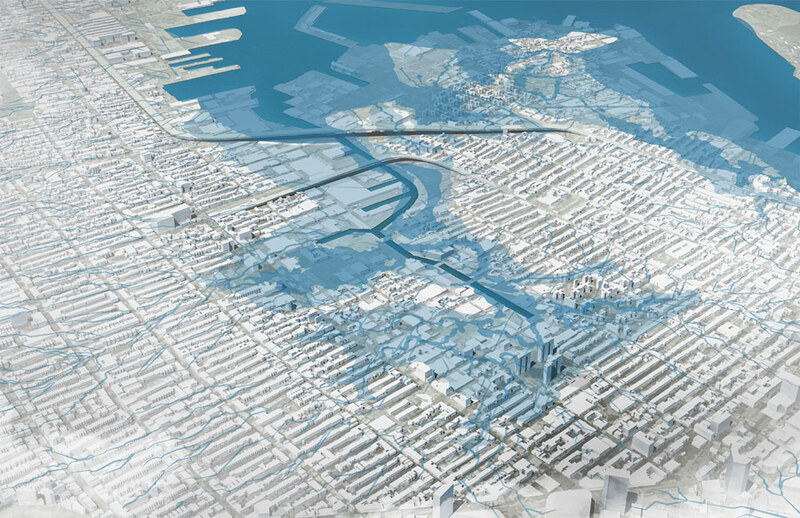 The plan dialogues with the Canal’s Superfund cleanup, local and state environmental remediation efforts, as well as a potential city rezoning that could encourage more development.